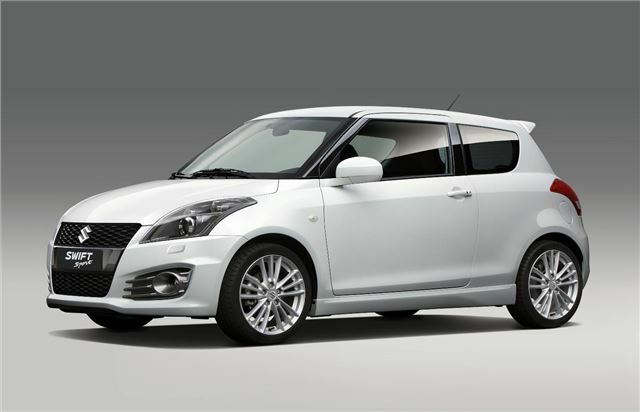 The Sport version of the new Suzuki Swift is to make its debut at the Frankfurt Show in September. The evolution in styling from the previous to the current generation Swift has been quiet, and the new Sport variant is no different – it looks like a more grown up version of the outgoing model. It's got a lower stance, with more aggressively styled bumpers, black bumper inlays and attractive black headlights to give differentiate it from the standard Swift, as well as a rear spoiler. The new sport will still be powered by a 1.6-litre engine, this time producing 134bhp and 160Nm of torque, both slightly higher figures than the outgoing model. Given the new Swift’s increased weight the slightly increased power points to performance in line with the outgoing Swift Sport. Fuel consumption has been improved, and cornering stability enhanced thanks to reworked suspension both front and rear. Stay tuned to our Frankfurt Motors Show coverage for more information on the new Swift Sport and other new models as it is becomes available. The Frankfurt Motor Show takes place between 13th and 25th September.